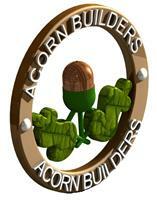 Acorn Building & Roofing Ltd - Builder, Carpenter, Roofer based in Union Street, Nottinghamshire. Welcome to Acorn Building and Roofing LTD.
We are a small family owned building and roofing business based in Sutton-in-Ashfield with over 15 years’ experience in the construction industry. We aim to provide excellent customer service at a competitive price in both domestic and commercial premises. All of our tradesmen are highly skilled and knowledgeable in a wide range of skills. Please do not hesitate to contact us for a free no obligation quotation detailing all the work that you require.